With Halloween less than thirty days away, librarians, teachers, and parents are eager to find ways to tap into childrens' enthusiasm about the holiday. Hands-on activities are a case in point. They offer kids a safe, fun entree to Halloween, while providing a useful, spirited path for their creative imaginations. Author Randel McGee delivers both "ways in" to Halloween enjoyment via his Enslow book Paper Crafts for Halloween. 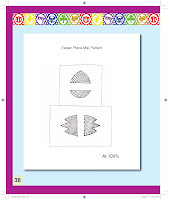 This wonderful title, part of Enslow's "Paper Craft Fun for Holidays" series, features step-by-step instructions and photos illustrating each step. McGee's 48-page book also includes a brief introduction to the holiday. And the work's 5.2 Accelerated Reader level makes it a solid choice for readers in fifth and sixth grades. To get a sense of McGee's engaging personal style and craft designing skill, visit this link for a YouTube video of him in action. Meanwhile, Paper Craft Fun for Halloween is available in a library-bound edition for $17.95; that represents a 25% school/library discount from Enslow's list price for McGee's book. Craft Books for Day Four of Our Pick-A-Page Giveaway! Today is day four of our Pick-A-Page Giveaway and we have some engaging craft books to win! Randel McGee is the author of Enslow’s Paper Craft Fun for Holidays series, and these 12 titles are sure to interest children in grades three through four. Two upcoming holidays that would be fun to celebrate with paper crafts are Chinese New Year and Presidents’ Day. Chinese New Year is Monday, January 23rd and Randel McGee has an interesting You Tube video of him putting together the Dancing Dragon Puppet from our Paper Crafts for Chinese New Year title. 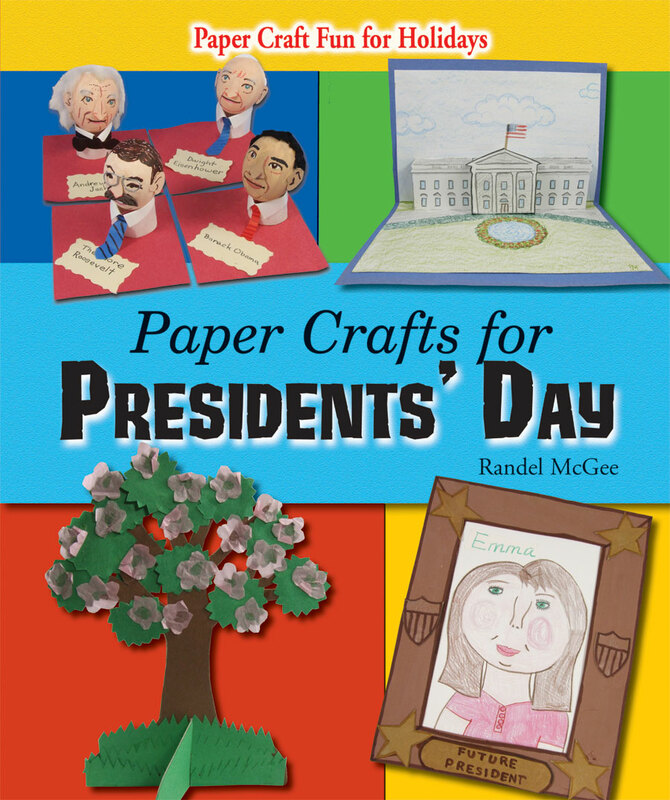 Presidents’ Day is Monday, February 20th and making crafts in Enslow’s new title in this series, Paper Crafts for Presidents’ Day would be a festive way to observe this national holiday! Yesterday was Make Cut Out Snowflakes Day! This activity is great for this time of year, especially with kids being out of school. Granted, here on the East Coast we haven't had snow since Halloween, but the thought of creating paper snowflakes is appealing! Paper Crafts for Christmas contains instructions for making eight different paper crafts, including snowflakes. If making snowflakes doesn't appeal to you, you can also make a wreath, a Christmas tree, a pop-up chimney card, an ornament, and more! Randel McGee wrote and created all of the crafts. Fun Valentine's Day fact: Did you know that nearly one billion valentine cards are exchanged every year in the United States, Canada, Mexico, the United Kingdom, France, and Australia? Want to make a lacy heart card for your valentine? Put a sheet of white paper and a sheet of red paper together. Fold the papers in half. Cut a half-heart shape. Unfold. You now have two paper hearts. Fold the white heart in half lengthwise. Cut designs along the edge. Cut small hearts, flowers, or other shapes in the paper. 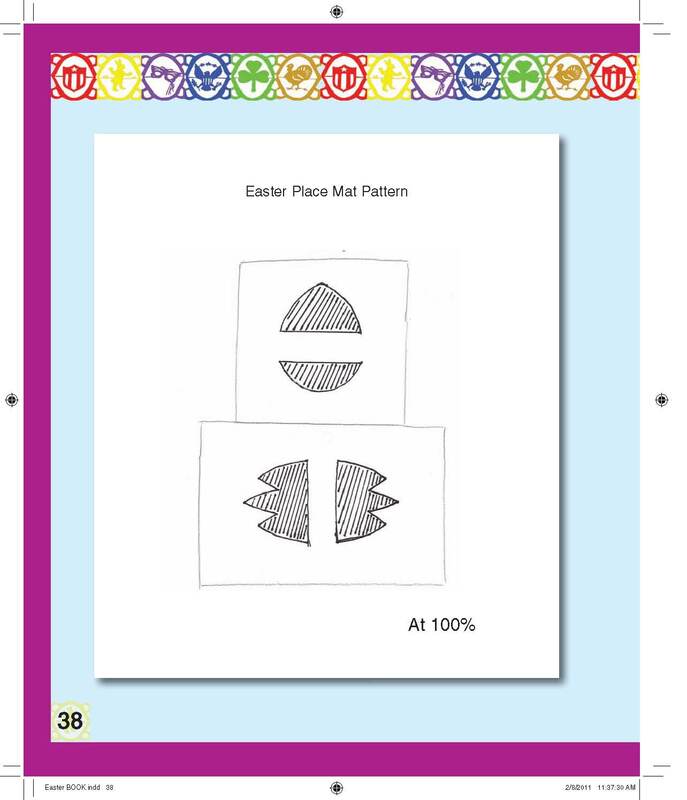 Use a hole punch to create designs if you wish. Glue the white heart to the red heart. Let dry. Use markers or crayons to write your special valentine message. That's it! This craft can be found in Paper Crafts for Valentine's Day, part of Enslow's Paper Craft Fun for Holidays series, written by Randel McGee. This title is available in both a library binding and paperback. VIDEO: Enslow author Randel McGee demonstrates a fun craft! Just in time for Halloween, Enslow's author Randel McGee demonstrates how to make "Goofy Googles" out of paper, straight from his Paper Crafts for Halloween book by Enslow Publishers. Click here to see the video! Randel is an expert of paper crafts and has written an entire series for Enslow, Paper Craft Fun for Holidays.